My first experience with the original Borderlands was at a really sad tech/gaming expo in Perth when I was 18. The game hadn’t been released yet, but I’d seen plenty of talk about it in magazines (remember those?) and it looked…okay. Publisher 2K had the marketing train going full steam though, and part of that was to set up an enclosed booth area in the middle of this dingy convention hall with a playable demo of the game. My cousin and I jumped on, happy just to be doing something mildly interesting, and it was at that exact moment that I became a believer. Not just in Borderlands, but in the idea of the co-op shooter with loot and RPG elements, a concept that has only grown more popular since. Fast forward just over ten years and two sequels later, and I’m once again playing the original Borderlands. Only this time, it’s in the form of Borderlands: Game of the Year Edition, a cheekily-titled ‘remaster’ of the game for current platforms. While Borderlands 2 and Borderlands: The Pre-Sequel copped the re-release treatment already with The Handsome Collection, the first game was conspicuously absent. 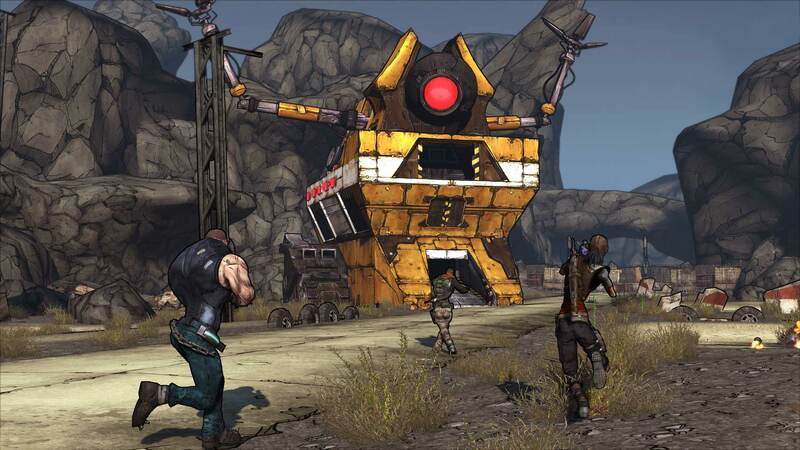 In line with the announcement of the long-awaited Borderlands 3 though, Gearbox and 2K have finally seen fit to give it a bit of spit-and-polish and put it out into the world again with support for modern ‘4K’ consoles. It’s a giant Claptrap! Kill it! The most immediately noticeable difference when booting up Borderlands: Game of the Year Edition on the PlayStation 4 Pro is how lovely and crisp it is. Borderlands’ cel-shaded visual style was always going to hold up well, and it’s only made a single generational leap to get here in the first place, but it’s still great to see it in impeccable condition. Between my own and many friends’ games I must have seen the first hours of the game dozens of times, but this is the first time I’ve felt truly nostalgic about it. Playing in HDR especially, on my enormous OLED TV, gives the game a new kind of vibrance that its otherwise very brown and dusty locales were sorely missing. The new presentation constantly brings out details that I’d missed before, even playing on PC back in the days before ultra high resolutions and deep colour technology. Some annoying screen-tearing aside, it looks great. Those brown and dusty environments are a bit of a thorn in Borderlands’ side though. While there’s merit to the Mad Max-esque setting that the bulk of the game takes place in, fans of the series that have been treated to the far more diverse spaces in its sequels are sure to find it comparatively dull. That rings especially true for the first third of the game, which features a little too much repeated backtracking across the same handful of environments. Pandora is a fascinating place full of interesting characters, but it’s better explored in later games. Some of those newer games’ features have made their way across to this version of Borderlands, at least. Simple quality-of-life additions like a constant onscreen mini-map and better inventory management with the ability to lock down loot or mark it as junk help to improve the moment-to-moment gameplay. They’re only minor changes, but it’s enough to make the game feel a tad more modern and fresh enough on top of the visual upgrade. Splitscreen co-op has been bumped up to four players as well, and aside from the expected loss in framerate it works pretty well (if you have a big enough telly). Shooting and general gameplay remain as fun and fluid (if occasionally as frustrating) as ever, of course. Something I don’t wholly appreciate seeing implemented is the ‘SHiFT’ system. 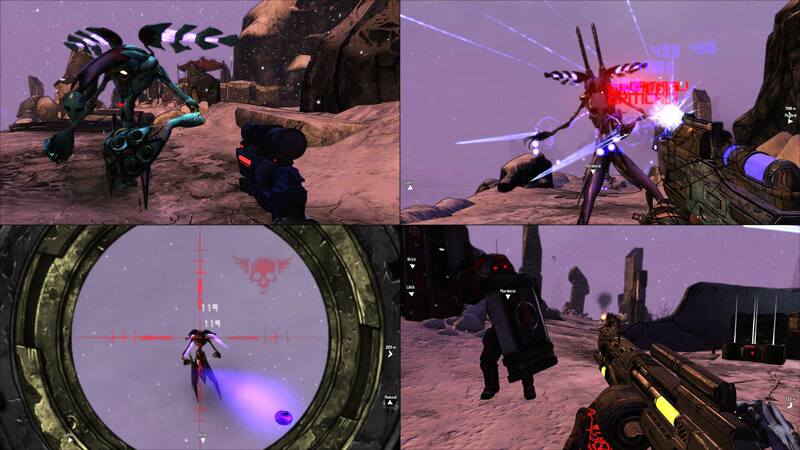 Borderlands 2 introduced the idea of a special chest that would spit out random, rare loot in exchange for ‘golden keys’ that were primarily obtained through interaction with Gearbox’ social platforms and community. It was basically a precursor to loot boxes with community engagement in place of greed. Not necessarily a bad thing, but with the gaming landscape the way it is now and the stark likelihood that the Golden Keys will be monetised in Borderlands 3, I feel weird about them being shoehorned in here. There are new weapons available by this method too, which makes it worse. I would have much preferred a few brand new challenges or goals with which to earn any new loot. There’s a strange sense of purity and simplicity when going back to it, free of the sequels’ penchant for bombast and wacky antics. That said, the cost of entry here is a little too high for my tastes. It’s a great version of a great game, yes, but there’s no denying (if you’re not a crazy person) that the later games are better. Those come bundled together in The Handsome Collection, which regularly goes for pretty cheap (I bought it on the PSN for $13.95AUD this week), but this remaster comes with a $44. 95AUD price tag. It’s not crazy expensive, but it’s not exactly a compelling price point for something that’s barely more than a port (with all the DLC included at least). Perhaps if it were also offered as a cheaper add-on to THC it would be worthwhile for dedicated fans, but at the current price it’s pretty skippable. Borderlands: Game of the Year Edition is a decent remaster of a classic. It looks great and plays exactly as you’d remember with a few extra bells and whistles to go along. A steep price point compared to its arguably better sequel remasters makes it tough to recommend right now, though.